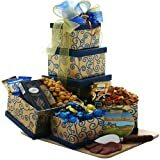 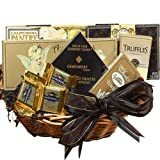 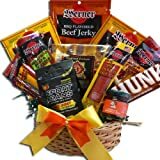 Impress friends, family or valued clients with this classic and elegant gift basket filled to overflowing with a grand selection of gourmet goodies. 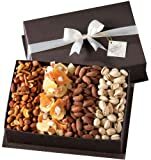 With a combination of delightful sweet and savory treats, the arrangement is themed in classic burgundy and gold and offered in two generous sizes to fit your gift giving event. 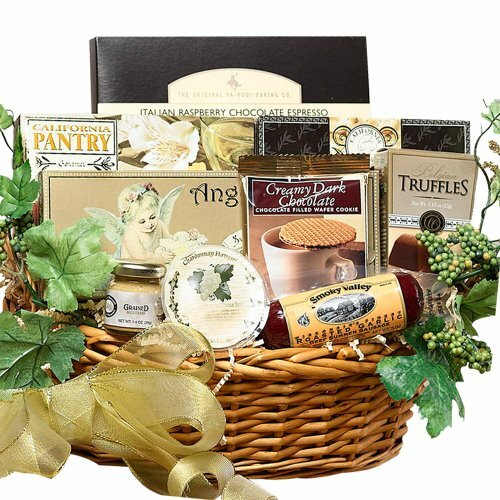 It’s just the ticket to celebrate special occasions for friends or family, or thank an office associate for a job well done!